The following is a guest post from Janet Aronica of Shareaholic. I’m a bit of a fitness geek. I think a lot of people feel that way when they look at their content marketing metrics in Google Analytics, Shareaholic Analytics, Chartbeat, Statcounter, or any of the other blogging analytics tools out there. My first tip is to think about what you want to learn before you even open your analytics tool. Otherwise, you’re just digging through the data jungle and immersing yourself in a sea of charts and percentage signs for no real reason. So, do you want to know what your most popular content is so that you know what successes to replicate? Okay, great. 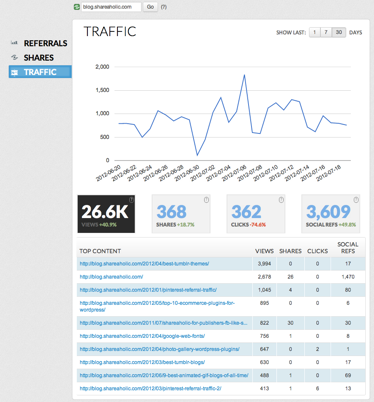 Look up the top content in your metrics tool. Do you want to know demographic information about your audience to add into your mediakit for potential advertisers? Awesome. 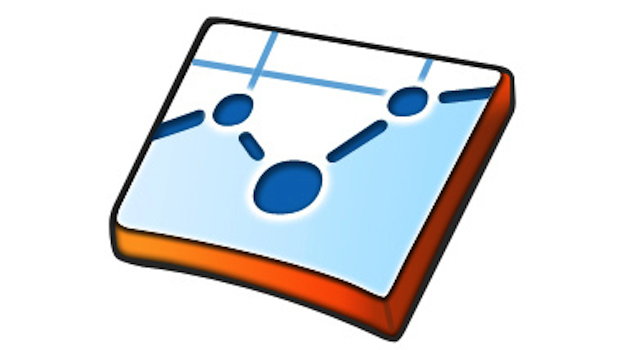 So look up the top regions for your readers in your analytics. But generally, it’s not that easy. Most bloggers don’t know what the common reports in analytics tools can reveal to them, so it’s tricky to approach measurement that way. Here are some tips on what you can learn from common blogging metrics so that you can approach measurement in a more strategic manner. Having a tough time coming up with blog post ideas? Take a look at what has worked in the past. Your top content report will reveal what your best-performing posts are. Keep track of your ideas and plan ahead for how you will include a new spin on these best performing ideas with an editorial calendar. Another tip – you may discover some “oldies but goodies” – old blog posts that continue to send you traffic again and again. This is your “evergreen content.” For example, for us, this 20 Gorgeous Tumblr Themes blog post is evergreen. It’s gotten nearly 4,000 pageviews this month alone, even though we published it back in April. Link to your evergreen content by making it a call-to-action in new blog posts. Even schedule some fresh Tweets of that post – it’s still relevant if people are still reading it! If you’re noticing several posts like this, think about including a related content widget like Shareaholic Recommendations that will automatically recommend more posts like this to your readers under every post. 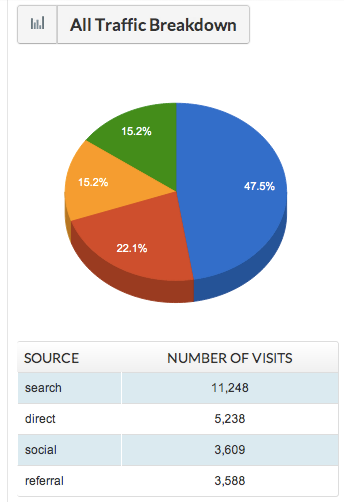 In Google Analytics, you can see this report under Traffic Sources > Search > Organic. Your organic traffic report is another area where you can get some blog post ideas. Your keywords report will show you the search phrases you are ranking for and what your audience is interested in learning about. Take a look at the posts you are doing that are ranking for those keywords and think about why they were successful. Did you optimize your URL and image file name for that keyword? Did it get a lot of Twitter shares? Think about what worked before, and use those things in a new post that targets new keywords you want to rank for. If you want to create shareable content, you need to engage your community of readers. This report from Shareaholic Analytics will show you who your influencers are. No fluffy algorithms to generate this report – it’s based on whose shares are driving traffic to your blog. 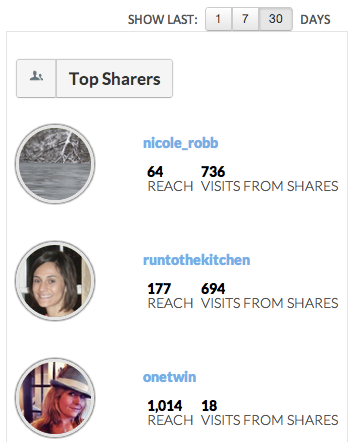 Follow your top sharers on Twitter or invite them to guest post. Connect with them, thank them, and grow that community of regular readers who will read and share your content consistently. In many ways, I look at the traffic sources report as a good way to reveal some “low-hanging fruit”. It’s pretty clear how you can fix things based on this report. If one of these is particularly low, stengthen that area. If your search traffic is low, make sure you are including on-page SEO optimization as part of your content creation strategy. If direct traffic is low, make sure you are doing enough to increase awareness for your blog’s brand. PR, plus tactical fixes like optimizing your social sharing buttons to include your Twitter account or branding your most “Pinteresty” blog images like this Shareaholic blogger does are some things that can help. If your referral traffic is low, you want to take a hard look at your social media promotion strategy. Are you Tweeting your posts? Scheduling tweets of your posts? What are the click-throughs on those links? Determine which Facebook page posts get the most engagement and replicate that success. Figure out which social platforms are sending you the most traffic, and really emphasize your time there. If your campaign traffic is low, it may be that your paid campaigns (if you are doing them) aren’t as effective as they could be. Re-evaluate who you are targeting and improve this acquisition strategy. Too many sharing options clutter the page and confuse your reader. 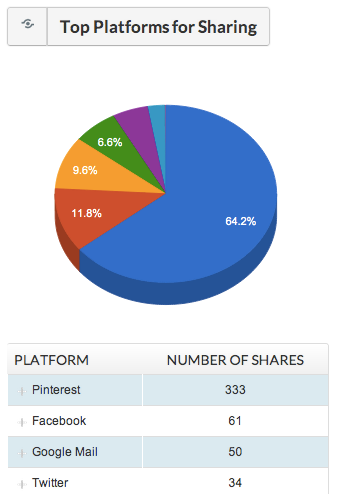 At Shareaholic, we’ve found that the publishers who overwhelm their readers with dozens of social sharing options are not the ones getting the most shares. The top-shared sites stick to 5 or 6 sharing buttons and focus on the platforms that really matter. Identify where you are getting referral traffic from and which platforms your readers are already sharing to. This will help you discover which buttons are really worth featuring on your blog, and create a better content consumption and content sharing experience for your readers. You can get the reports I mentioned above for free with Shareaholic’s content sharing and discovery tools right in the WordPress repository. Or, if you just want analytics, you can get the analytics code for Shareaholic analytics. What recommendations do you have for getting results from analysis of your analytics? Let us know in the comments section! Top article today Tom !